Four days, more than 500 people, and a successful 2018 European Collaboration Forum! Over 500 clients and associates recently attended the annual European Collaboration Forum in London. Major themes included nursing leadership, population health and data intelligence, and the value of patient centred care. All the attendees came together from 56 organisations and 18 countries to share insightful thoughts and ideas on health and care as part of the 2018 European Collaboration Forum (#ECF18). 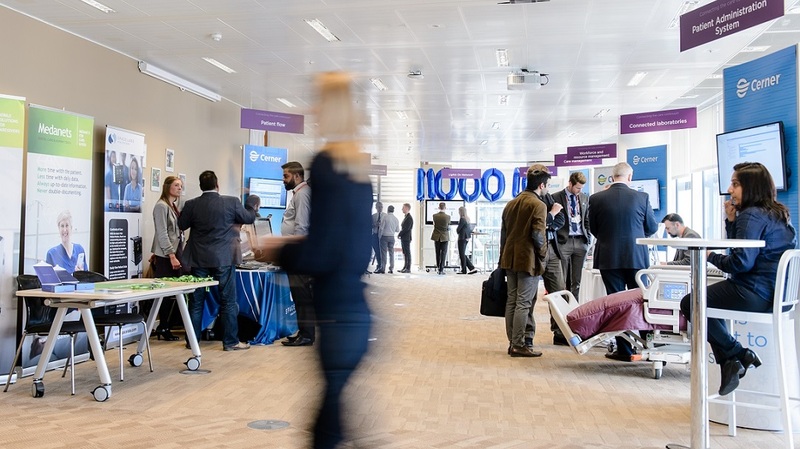 Held at Cerner’s London office, the event featured four keynotes sessions, 30 education sessions and a Solutions Gallery across three days, plus a fourth day dedicated to the Cerner Clinician Community (CCC). Attendance was not only on the up, with the amount of people increasing 29 percent on last year, but visitors have switched their focus too. They were not only here to get information about our solutions and services, they were really focused on value, experience and how to deliver better care. We could really feel the shift from just getting through an implementation to a focus on the patient and delivering outcomes that are measurable to make the lives of those they serve better. The engagement is different and exciting for us! That’s why we’re all here. The Solutions Gallery at #ECF18. The week started with a focus on clinicians. With the largest attendance ever, the day was driven by keynotes and workshops talking about how we improve the quality of healthcare, and how we can make a real difference for patients. Clinicians had the opportunity to attend a workshop facilitated by two leading experts in quality improvement, Dr Bob Klaber and Dr James Mountford. They gave an inspirational speech and captured the audience’s imagination with their ideas on care quality improvement and techniques we can use to achieve this. They shared their experience and amazing results, and made it even clearer that knowing how to improve is vital in order to achieve a world without medical error. Tuesday was dedicated to nursing, and it began with a powerful opening from Emil Peters, president of Cerner Global. He spoke about the shared opportunity around the world to collaboratively impact lives of millions, and used his traditional F1 analogies to bring a point to life. 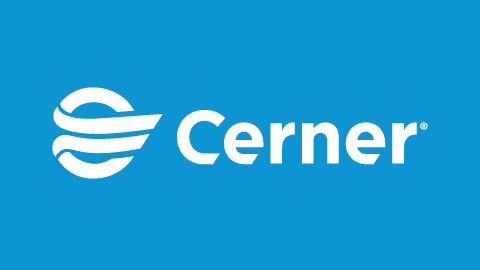 Then, Patience Chinwadzimba, Cerner UK healthcare executive, took to the stage to introduce the keynote speaker by sharing her story about the importance of remembering the human aspect of technology. The keynote speaker, Kathy Sienko, chief nursing officer of Aldara Hospital in Riyadh, Saudi Arabia, discussed the importance of excellent nursing care, patient and staff satisfaction and the role of the chief nursing officer and the journey of leadership. Kathy Sienko speaks during the Tuesday keynote. Some of the education sessions throughout the day also discussed nursing. Tina Murphy from the National Maternity Hospital in Dublin held a very popular education session about the breadth of the solutions used for Irish midwifery services, the use of FetaLink® and the research potential opened up by having a single national system. The benefits for the clinical staff and therefore the patient is huge: by saving 13.9 hours per shift (76 minutes per nurse! ), they have much more time to spend taking care of their patients. 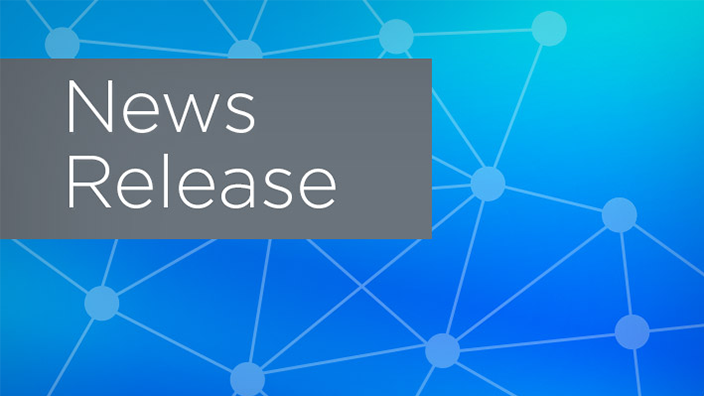 Wednesday’s theme was population health and focused on data intelligence. The day started with an inspiring keynote/panel session with clients from multiple countries. Greg Strevig from Geisinger, Dr John Connolly from the Royal Free in London, Professor Peter Knight from Oxford, Cerner’s population health chief medical officer Dr Bharat Sutariya and Professor Justin Whatling, Cerner’s global population health vice president, discussed intelligence strategy and their successful applications. Greg explained how data intelligence is embedded into their business as a core capability and how they are using the data to understand where they need to take action. John talked about the value to clinical care and clinician engagement, and their initiatives to reduce unwarranted clinical variance for patients and in partnership with Intermountain Healthcare. Panel discussion during the Wednesday keynote. The afternoon keynote explored learning and opportunity from pioneers of integrated care systems, with Deloitte, NHS England, Greater Manchester Health and Social Care Partnership, Dorset CCG and Berkshire West CCGs. Healthy Wirral conducted an education session highlighting the potential for overall location-based care, and talked about the kinds of analysis that this joined-up data can deliver, as well as how it is providing new insights into our health and care system. The final day’s theme was patient benefits. In the morning keynote, Paul Weaver, vice president of user experience and human factors research at Cerner, shared the importance of designing in collaboration with users to ensure experience is enjoyable, easy and functional. Then Harry Iles-Mann, a patient, probably gave the best wrap that we could have to a healthcare event by sharing his personal experience of interacting with numerous facets of the healthcare system over the past 19 years, in an effort to manage his chronic health issues. He talked about the importance of co-design, accessible information, connected records/clinicians and relationships with the care team. Harry’s inspirational talk generated a standing ovation as his real-life insights and inspirational message was clear – this is why we do what we do. Harry Iles-Mann, left, and Paul Weaver during the Thursday keynote. The afternoon sessions focused on child protection with Surrey and Sussex Healthcare NHS Trust while Oxford held an education session to share their experience of the new RPAS and how clinical and administrative functionality can save time and make care very fast for the patient. 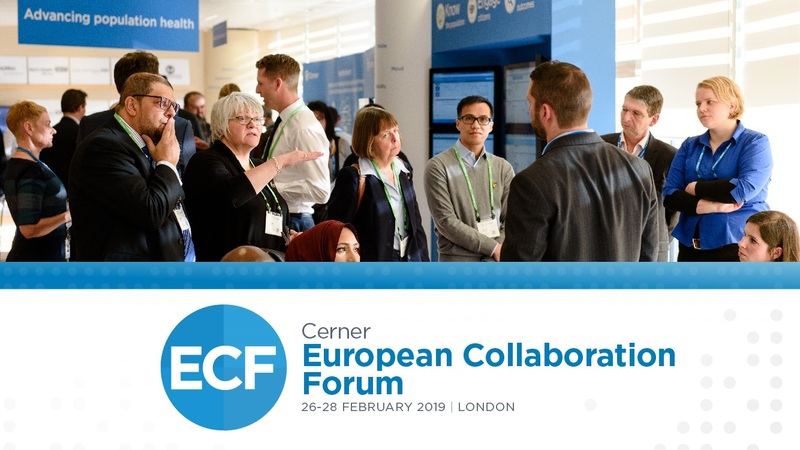 With over 80 speakers sharing their real-life learnings, challenges, and experiences over three jam-packed days, combined with networking with over 450 peers from around Europe, it’s hard to come up with a reason not to attend Cerner’s European Collaboration Forum (ECF). #ECF19 is just around the corner, and in case the testimonials from last year’s attendees weren’t enough to convince you, let us introduce the amazing line-up of keynote speakers joining us for this year’s Forum.